Far on the western side of Washington State lies Westport, a fishing hub directly across Greys Harbor from Ocean Shores. It's difficult to experience all the wonders it has to offer for the avid fishermen in just one day. Luckily, there are several options for overnight stays, and it is worth it even if you do not plan to charter fish. Over the course of three days, my friends and I shared the Westport trifecta: crabbing, bottom fishing, and surf fishing. Here are some tips and tricks you can use to limit out on some tasty rockfish, surf perch, and crab. On our first day, we settled in at our hotel, the Harbor Resort. These waterfront cottages offer an amazing view of the harbor; we watched charter boats chug to and from their secret spots. Since bottom fishing did not open until midnight on Friday, we threw crab snares off the rocks outside our cabin and dropped several crab cages in the Marina. The store at the marina sells everything you need: crab cages, snares, and bait. Generally, I recommend a long, heavy action rod and 6000 size reel to handle dragging in heavy crab all day. Cast your baited snare, wait 15 minutes, and reel in, keeping the line taut to prevent crabs escaping the ties. Crab snaring at the fishermen's pier nearby is a popular summer activity. You'll catch two types of crab at Westport, dungeness and red rock. 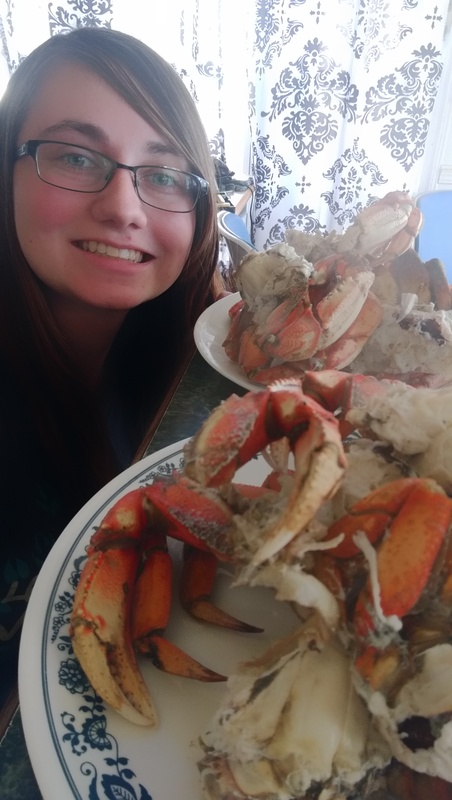 Dungeness are the more widely known species, but I actually prefer the sweeter meat of red rock crabs. Make sure to carry a crab gauge, as there are size limits for both species. A pot bursting with fresh dungeness crab rewarded our efforts later in the evening, and we boiled them in saltwater from outside our cabin for a tasty dinner. Not only can you catch plenty of crabs, but there are tasty rockfish and lingcod to be had. The secret to catching black rockfish early in the season is to fish off the rocks at night. These fish have large eyes which enable their nighttime hunting habits. Lingcod seem to bite at any time of the day; they are aggressive top predators. We fished off the "finger" jetties after midnight, what the surfers call "the groins". These are the smaller rock formations that jut into the northern side of Westport like fingers. The finger jetties can produce pile perch and striped perch as well. You can try to pump for sand shrimp, their favorite food, next to the boat launch at low tide, but Tokeland is a tried and true area to stock up. A word of caution - the jetties can be very treacherous as they are nothing more than large piles of rocks - slippery rocks. Be sure to wear appropriate footwear and don't over-burden yourself with carrying too many items. A light backpack is a good choice in order to keep your hands and arms free. Watch your step and take your time. Be mindful of the waves crashing into the jetties so you don't get caught in a rouge wave and thrown into the sea. While the finger jetties can certainly produce nice bottomfish, the larger jetty at Westhaven State Park beckons to anglers brave enough to climb it and try for larger fish. The second day, packed up, strapped on our gear, and ventured out about halfway out on the mile long jetty. Make sure to bring good hiking boots or tennis shoes with plenty of grip as well as a bag or bucket to keep your fish if you go on the jetty. There were many other anglers lined up along the jetty using a variety of techniques. Some used a herring under a large bobber, while others preferred swim baits. For my tackle, I used an 8'6" Okuma Celilo with a Daiwa Fuego 4000. If you try this yourself, I recommend bringing a rod with some backbone, along with plenty of spare tackle. We affectionately call the jetty "snagport" for the bevy of rocks just waiting to steal your gear. For terminal tackle, I used 20 pound floroucarbon leader (bottomfish have sharp teeth) and 6 inch soft plastics of varying colors on a drop shot rig. I prefer the drop shot rig because it allows me to change the height of my swimbaits from the bottom, since rockfish are usually suspended. 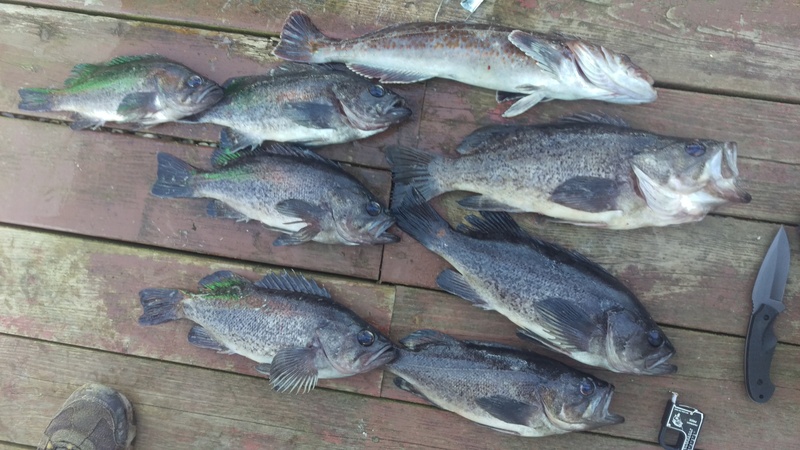 I caught my limit of 7 black rockfish as well as 1 lingcod, which we fried up in the cabin that night. For the third day of our Westport adventure, we tried surf fishing at Half Moon Bay. This is a great spot to target perch as it's sheltered by the jetties and therefore less choppy. My favorite rig for surf perch is a medium action salmon-steelhead rod and a sturdy 3000-4000 size reel. You'll see fishermen with "telephone poles": 15 foot rods and 6000 reels, but I like the lightness and maneuverability of my Okuma SST. Either method will work. Waders or hip boots can be an asset to help you reach the fish. Keep moving and testing different depths and locations to find the school. 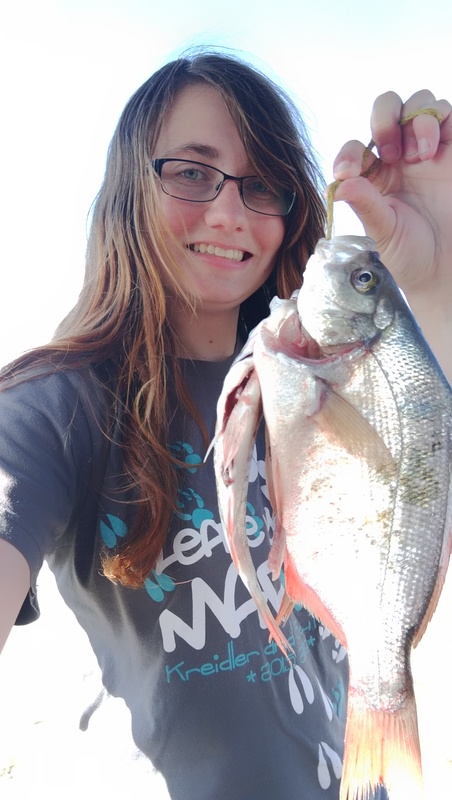 There are many different baits for surf perch, they are aggressive biters too! We used horse clam necks, shrimp, and Berkley Gulp Sandworms. Overall, even if you don't aim to charter fish, Westport offers many treasures for fishermen of all skill levels. There are ample surf fishing, bottom fishing, and crabbing opportunities. Make sure to check the rules and regulations for all of these before heading out. The jetties are closed to both perch and bottom fishing from mid October to the beginning of March, but crabbing is open year round. Now you know how to make the most of a weekend at Westport. Tight lines! Hannah Pennebaker recently graduated with a degree in Environmental Science from Pacific Lutheran University. 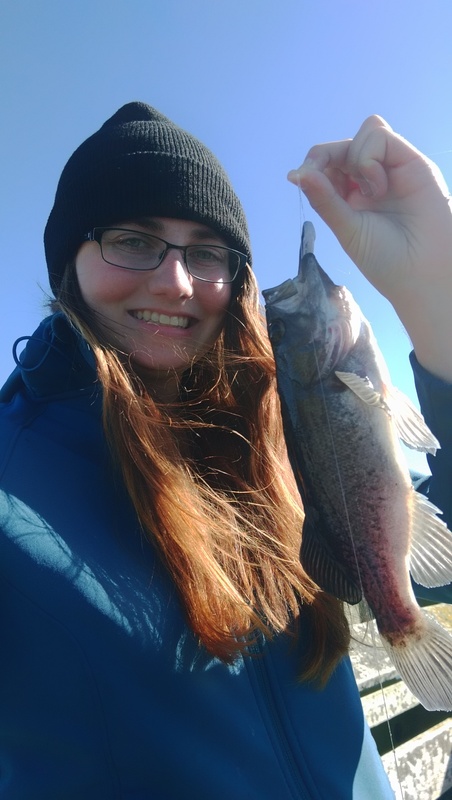 She enjoys fishing both freshwater and saltwater fishing adventures in the Puget Sound with her fishing group, the Straw Hat Fishermen.